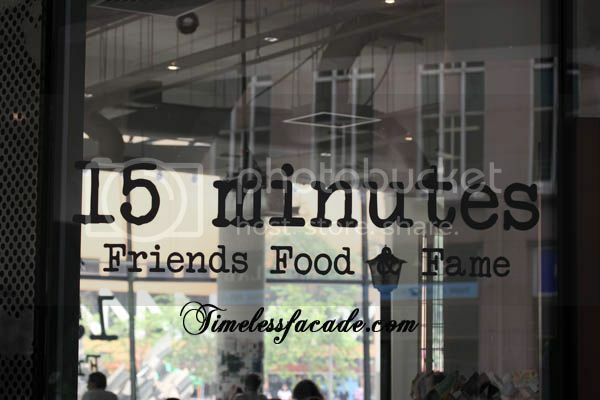 Many of us go in search for our 15 minutes of fame in life and apparently you can get your 15 minutes in a newly opened cafe which goes by the name of 15 minutes. And with a tagline like Friends, Food, Fame, it doesn't leave much to the imagination. 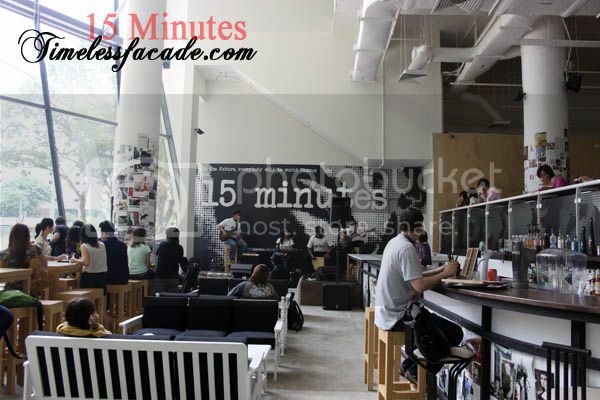 The cafe is nestled within the premises of the modernly funky Lasalle and sports a certain chic and youthful vibe with its soaring windows that offer a view of the edgy campus and of course the stage where you are allowed your 15 minutes of fame. The cafe also has a rather interesting concept whereby upon placing your order, an RF device is allocated to you, which vibrates and emit red flashes to inform you that your food is ready for collection. Apparently the kaya muffin has been well raved about in the media but given what I had, I wasn't quite sure the muffin deserved the hype. 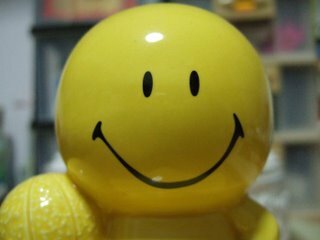 Spongy but a little too dry with a funny smell. There was kaya in the center but I don't think it tastes any different from the ones I get in a tub at the supermarket. 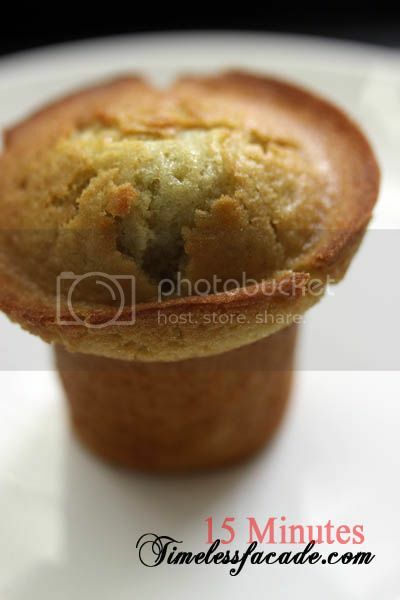 Overall a very mediocre muffin that I would expect to grab from any generic neighbourhood confectionery. The name of the dish intrigued me for I never had avocado with pasta before, especially with a cream based sauce. I was mildly disappointed though as it really didn't taste out of the ordinary. 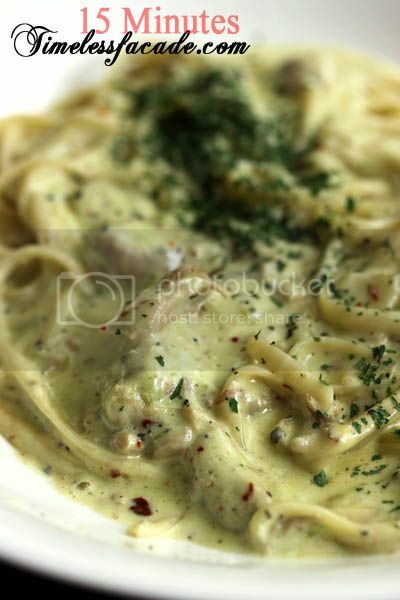 Sure, I could see little greenish blobs of avocado in the sauce but that's about it. Nothing special. Did I mention that the sauce was overly creamy and the pasta a wee bit too soft for my liking? 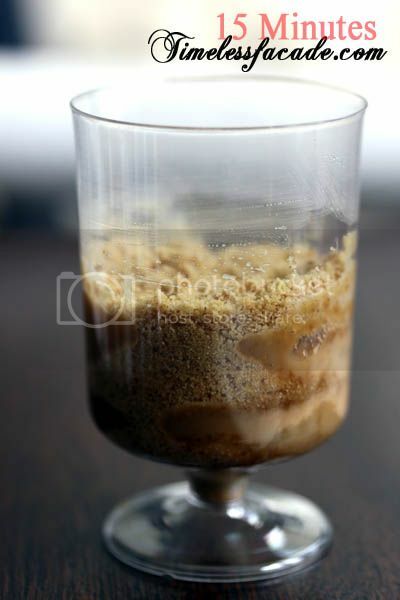 15 minutes had a different take on this classic English dessert. There was no pastry or cream, just solid bananas in a toffee mixture with lots of crushed biscuits. Interesting but can be a little too dry and sticky. I don't quite fancy the food but prices aren't expensive and I love the youthful exuberance the place emanates. Makes me feel young all over again. Now that's reason enough to go back, don't you think so? 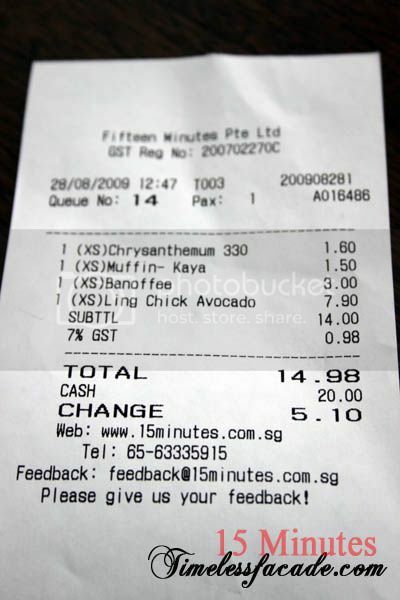 If I remember correctly, TPY itself has 2 confectioneries that sell kaya muffins haha.. But was laughing to myself when I saw the pasta - deceptive naming of the dish if you ask me. And yes, I also do thought it was too creamy.